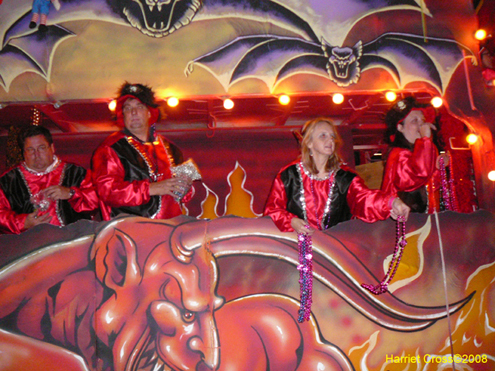 The Krewe of Halloween, New Orleans’ Official Mardi Gras Style Halloween Parade! 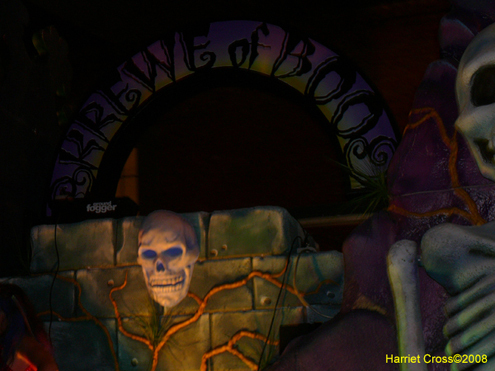 Created by New Orleans’ own Blaine Kern Sr., The mastermind producing Mardi Gras for over 60 years, the Krewe of Halloween is unlike any other parade in the world. Not only is the Krewe of Halloween the official Halloween Parade in New Orleans, it is the first parade with a charitable cause! Mr. Kern’s vision for this unique event was to give back to New Orleans First Responders the best way he knows how…by throwing a party! 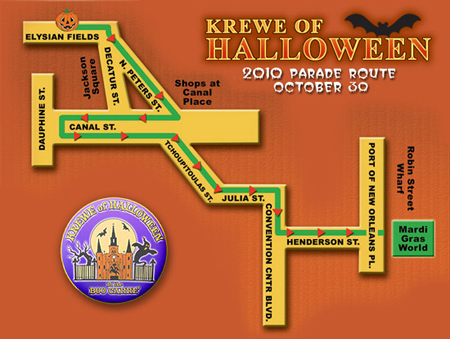 Every dollar generated by the Krewe of Halloween benefits the Greater New Orleans First Responders Fund. In 2007, Mr. Kern founded one of the most innovative nonprofits in New Orleans, the First Responders Fund. This organization was established because there was a need. Our police, fire, and EMS departments were suffering in many ways post Hurricane Katrina. Official headquarters and offices were replaced with inadequate temporary trailers, order and control replaced with rampant crime, and once stable personnel turned into staggering loss. The working environment within these agencies was hard, and home life for its employees was often harder. Many First Responders were working in temporary offices and living in temporary housing; all while coping with personal decisions that bared difficult solutions. The New Orleans Police Department was in a particularly critical situation by the end of 2006 when it experienced the loss of nearly 500 officers. With a sound Board in place and direction from Superintendent of Police Warren Riley, Chief of New Orleans Fire Department Charles Parent, and Executive Director of Emergency Management Services Jullette Saussy, the First Responders Fund decided to support these agencies by offering a housing incentive to First Responders that would compliment compensation packages and aid retention efforts. For more on the First Responders Fund click here. Founded on the belief that by aiding the recovery of our Police, Fire, and EMS departments, we aid the recovery of our entire City, the First Responders Fund publicly announced its mission in July of 2007. Assuring that in 2008 we would see two very important initiatives come to life – the execution of a housing program for New Orleans First Responders and the inaugural roll of the Krewe of Boo Halloween Parade!